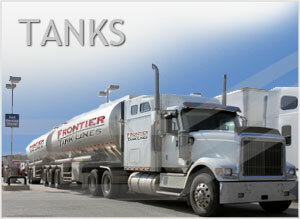 We not only supply you a bevy of fuel tanks & storage choice, Frontier Tank Likes also provides industry-leading Fuel Transportation Services, as well as: Emergency Fuel Service, Fleet Fueling Services, Inventory Management, and a 24 Hour On Call Fuel Dispatch Team. We provide fuel storage and fuel transportation services throughout the Southwest including Dallas/Ft. Worth, Houston, San Antonio, El Paso, Amarillo, Midland/Odessa, Albuquerque, Gallup, Moriarty, and Oklahoma City.